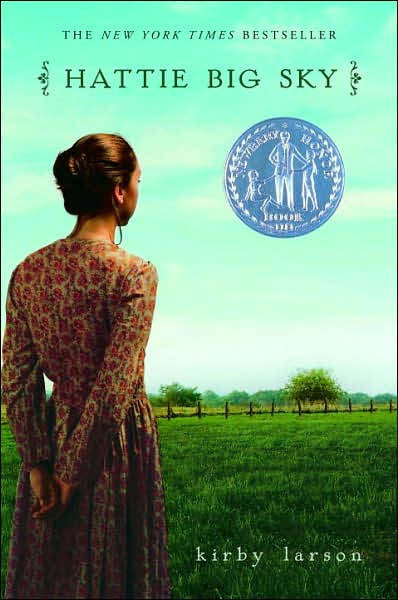 Charming middle school book about a young orphan, who at the age of 16, sets out for Montana to homestead a claim left to her by her uncle. “At least now my letters will be more interesting,” she writes to her good friend, Charlie, who is fighting the Kaiser in France. Set during WWI, the book details the hardships Hattie endures on the farm such as harsh weather, a cantankerous cow and her helplessness at the cookstove. She is helped in her endeavors by neighbor Perilee Mueller, her German husband and their children, as well as others in the community. With their encouragement, she finds the strength to stand up to Traft Martin’s attempts to buy her out. A central theme in the story is the animosity shown towards the Germans living in the area as the war rages on. Will Hattie succeed in keeping her claim or will she lose the land as so many others have? The book was crafted from the author’s own family history, and was a Newbery Award Honor designee. Aloha Dash and mahalo for visiting our silly dog blog! I look forward to reading your book reviews and hearing about your exploits! No problem Max. My parents were in Hawaii this spring and said it was beautiful. I, alas, had to stay home. Man, it’s hard being a dog in today’s society.